Indianizer was born in 2013, springing from the minds of psychonauts drawing inspiration from Animal Collective's wild frenzies and Django Django's tropical rhythms. Following two self-produced EPs ("Pandas", 2013 and "Jungle Beatnik", 2014), their first full-length "Neon Hawaii" (Edison Box/PBP, 2015) was released in 2015. Thanks to this debut album, chosen as one of the top 50 records of the year by Noisey, the band toured Italy and Europe. 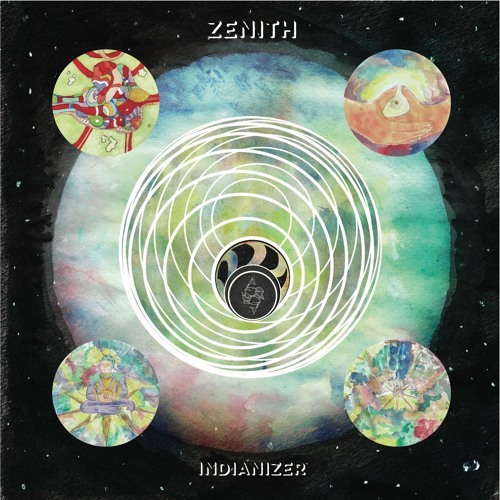 "Zenith" is the second full-length produced by the band together with Edison Box, Musica Altra and Bordello a Parigi which will be out on the 27th of March 2018: "a psychedelic texture, ancestral, made possible by vortical bass lines and cosmic patterns. An extraterrestrial cumbia in essence" (Rolling Stones).